Happy belated 4th of July. A few weeks ago, here on the homestead, we experienced the scare of having funnel clouds passing right over our home. 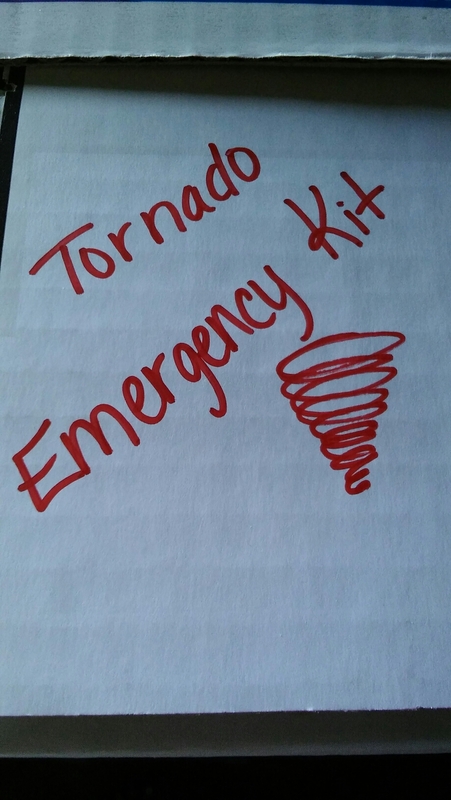 While I am usually prepared, since moving I had not put together an updated tornado kit. Most people will read this and hopefully follow my lead by making a kit for themselves as well. Although your kit will not be used regularly, or ever hopefully, it is a wonderful thing to have on hand when the clouds roll in. When the funnel clouds rolled in for us a few weeks ago they came in quickly. I ended up taking a blue bubble foam covered Tractor Man into the basement in a blanket. Sitting with small children for an extended period of time really makes you need to plan. Making your kit is very easy. 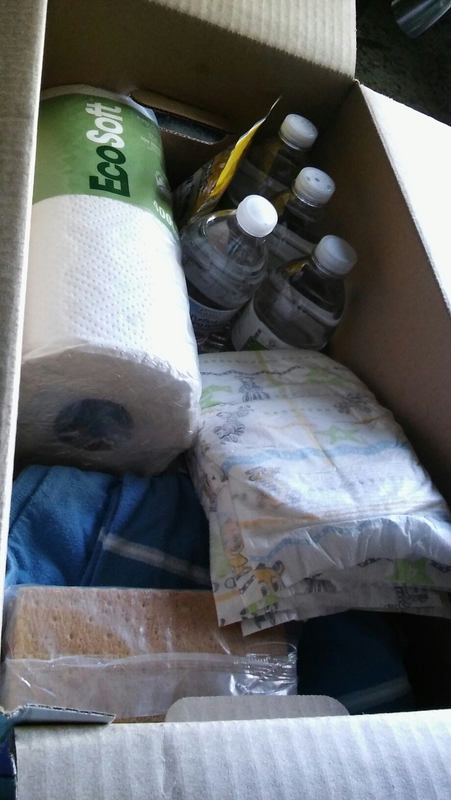 I used an old diaper box and added the essentials for our family. Start with some water bottles, a few snacks that will last the season in storage, and a few things to entertain your crew. 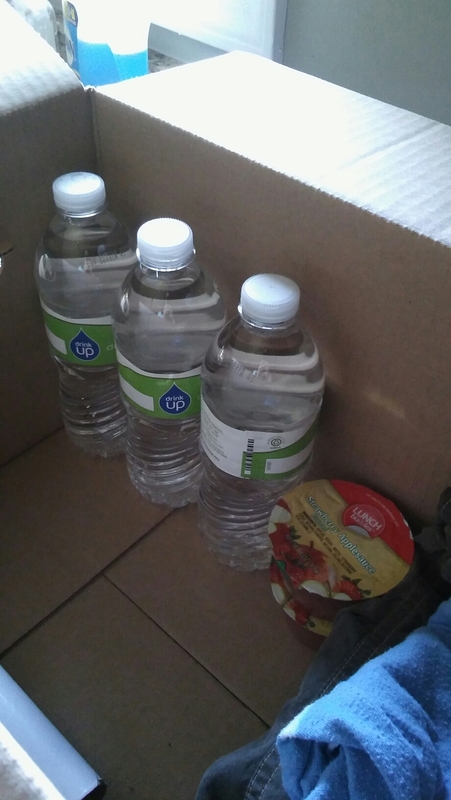 Water and individual applesauce cups. 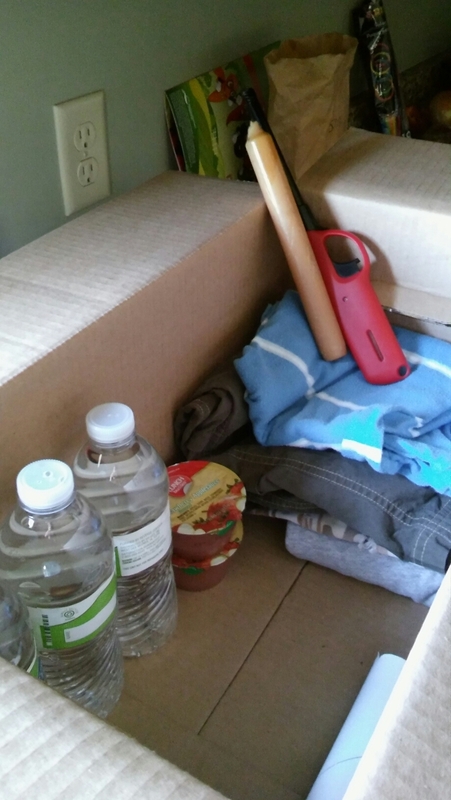 I of course decided we needed spare clothes for the kids, some extra diapers, and a lighter and candle. I really love this candle by the hour light and am working my way up to getting one. It can be found at several different stores and online. So look around but I really love the Candle By The Hour. Adding a few things to make the boys feel more secure was helpful as well. 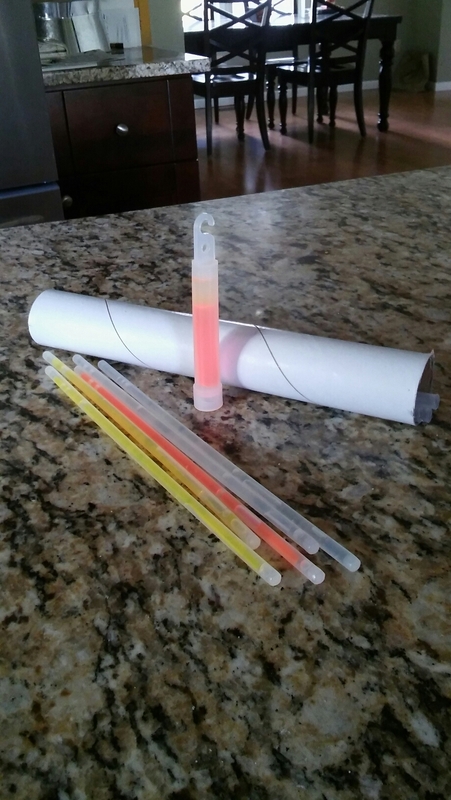 Glow sticks are easy to add to the box and our kids love them. If the power goes out they can each have a few this way. Flow sticks. Store in a tube so they are secure from cracking. Your final kit can include anything else you feel you may need. I added some paper towel for spills, runny noses, etc. I am also considering adding a few financial things such as an extra debit card or a prepaid visa card. I hope and pray that none of us will ever need to use these kits. I hope you will all join me and plan ahead for your family.